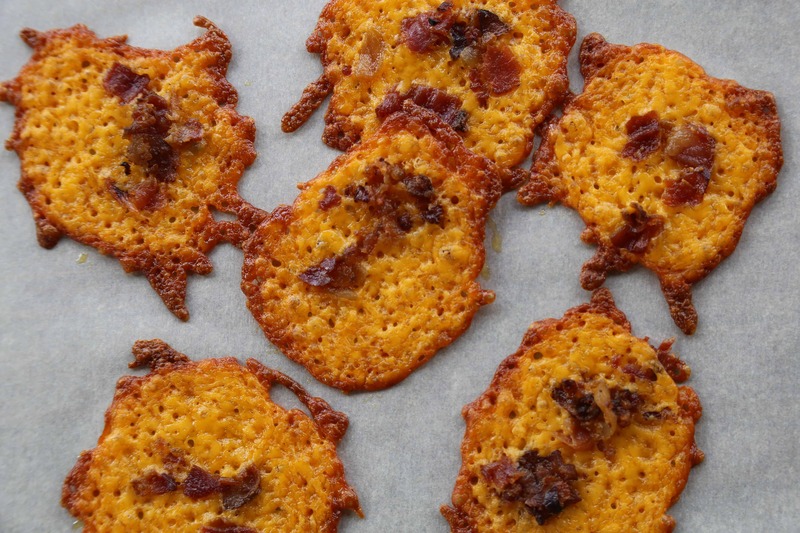 This Keto Cheese Crisps Recipe is not only so easy to make but it is just about the most delicious snack ever. 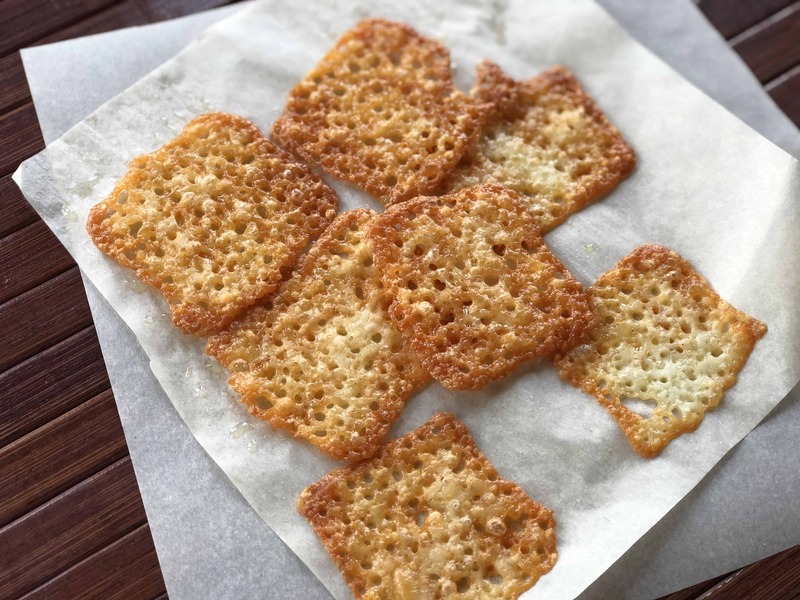 These low carb cheese crisps are a delicious snack, perfect for a Keto Game Day snack or to take in your lunch for work. Keep extras on hand for easy snacking. Cheese to me is a comfort food. I love these Keto Cheese Crisps because they satisfy me when snacking but I can stay in Ketosis because they are a Keto Friendly Snack. Everyone has their cheese preference and this recipe is nice because you can use your favorite kind of cheese or you can mix it up every time. We love adding bacon and jalapeno slices to ours to add a little extra pop. If you aren’t a spicy person– no problem, just leave them out. Dab each cheese slice with paper towel to absorb the oil. It is so easy to make delicious variations of low carb cheese chips using your favorite ingredients. 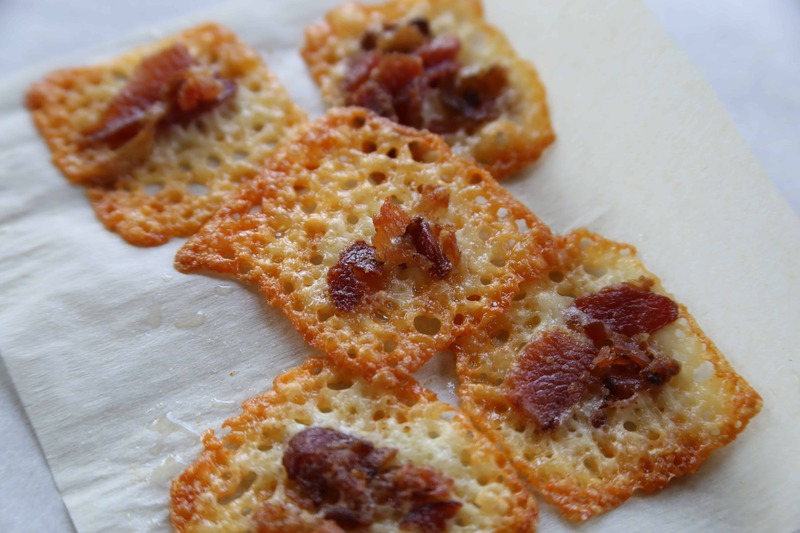 Add bacon crumble to the top of your cheese before cooking for an amazing Bacon Cheese Chip. Take your Keto Cheese Chip to the next level by adding a little bit of spice. I recommend adding Jalapeno and bacon but if you don’t like bacon you definitely could just add Jalapeno. The hard part when you add this much goodness to your low carb cheese crisps is not eating too many. I seriously could eat so many in one sitting. They are that good. 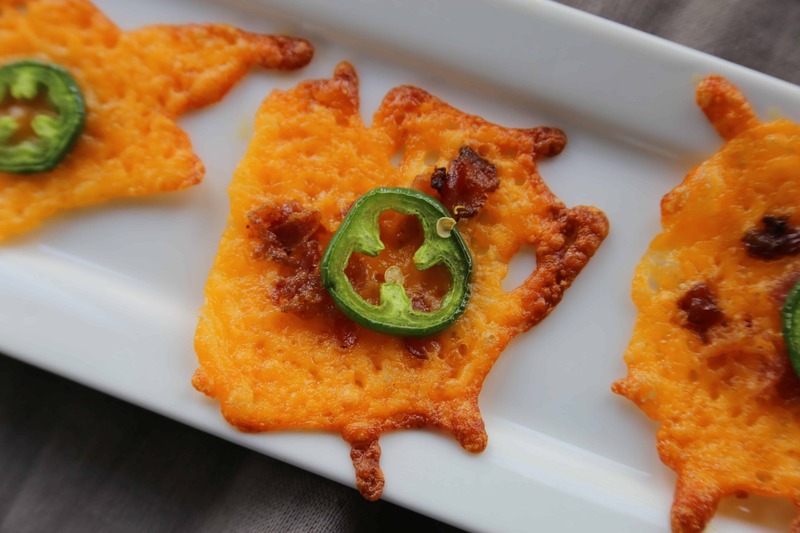 The directions of your Jalapeno Bacon Cheese Crisp is just like the ones above, just just make sure and add the jalapeno slice over the bacon but make sure that it is touching cheese so it will stick. I can still hear the sizzle of the cheese and smell the smell of the bacon. 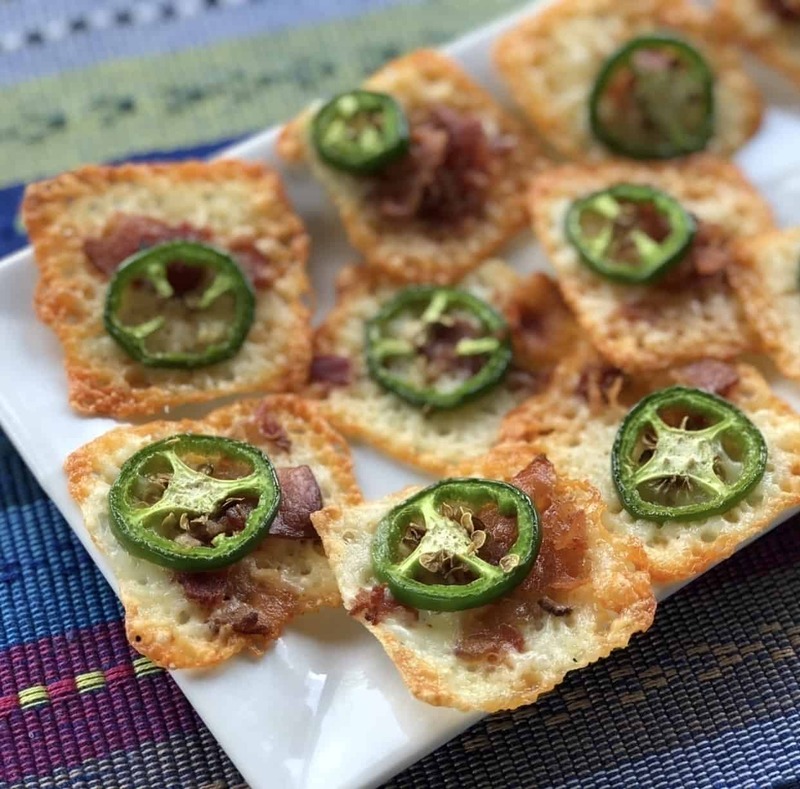 This Jalapeno Bacon Cheese Crisp Recipe is the perfect Keto snack. Hear it for yourself. If only we had smell-v-vision.